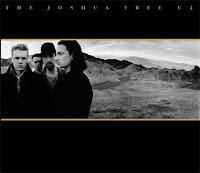 Laid Off Loser: Laid Off Loser Album of the Day: "The Joshua Tree"
Laid Off Loser Album of the Day: "The Joshua Tree"
Epic. The album that gave birth to Anthemic Modern Rock. If you don't like it, you have no soul. By far, one of my top 10 favorite albums of all time. I need it in my life like I need air.